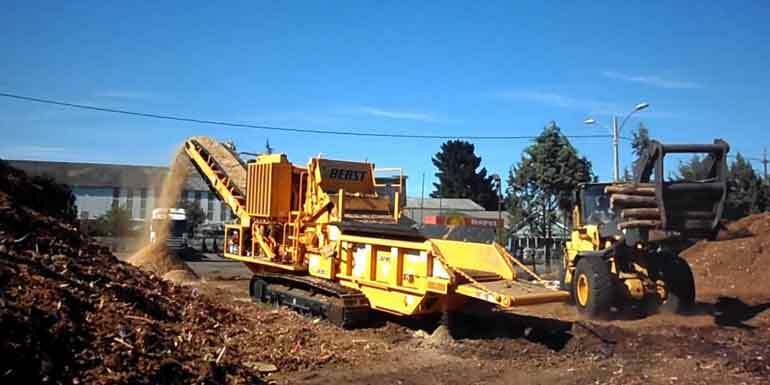 We recycles 100% of all the green waste produced from tree surgery operations also called tree cycling. The South-African Landfill Directive is driving local authorities to reduce biodegradable waste input into landfill. This is because when green waste decomposes in a landfill site, it produces methane, which is a dangerous ‘greenhouse’ gas. It also produces chemicals which can pollute the local land and water. Improves the soil structure, porosity, and density, thus creating a better plant root environment and making the soil easier to work Increases moisture infiltration and permeability of heavy soils, thus reducing erosion and runoff. Improves water-holding capacity, thus reducing water loss and leaching in sandy soils. Supplies a variety of macro and micro nutrients. Supplies significant quantities of organic matter. Compost can hold nutrients tightly enough to prevent them from washing out, but loosely enough so plants can take them up as needed. Supplies beneficial micro-organisms to soils and growing media. An exciting new use for compost is bioremediation. Many things can contaminate surface waters and soils. The micro-organisms in compost can break down these contaminants and transform them into humus and inert by-products such as carbon dioxide, water and salts. At Tree Care Pta the larger branches (cordwood) and logs are split and used as firewood ideal for wood burning stoves, fire places or open fires. If the timber is unsuitable for burning, the logs are broken down and processed at our green waste recycling center.